Germany’s sonnen is leading that nation’s home battery sector and has already become very popular in Australia according to a recent report. With sonnen’s residential energy storage prices dropping, the German manufacturer may find even greater favour here. Recent analysis by EuPD Research indicated sonnen had a cumulative market share of 23% across European, USA and Australian markets combined, well ahead of the next strongest competitor. To date, more than 15,000 sonnen battery systems have been shipped globally; mostly to owners of solar power systems looking to gain additional energy independence and wanting to make the most from their valuable rooftop-generated electricity. In the USA, Sonnen has 17% market share and in Australia, 13% says EuPD Research – but its real stronghold is the European market where it has been longest-established. Based on the end of the first half of the year, EuPD Research states Sonnen is the largest supplier in Germany, with a market share of 27%; ahead of around 59 other companies offering energy storage solutions in the country. EuPD Research expects sustained growth to have continued in the sector generally for the second half of this year, with between 23,000 and 25,000 storage systems installed in Germany by the end of 2016. It also expects Germany’s battery manufacturers to continue in their success outside the country. “The international presence of German storage providers shows that they are able to react to change-specific requirements and to offer their products in good quality at affordable prices. Our analysis shows that German suppliers have already established themselves out of the European market outside Europe,” said Dr Martin Ammon, Head of Energy Economics at EuPD Research. Sonnen enjoys its solid reputation not just due to affordability and a level of build quality Germany is well known for, but also for its market-leading 10,000 cycle/10 year warranty. This is equivalent to approximately 2.7 full cycles a day over a decade. Sonnen’s modular approach enables addition of capacity in 2kWh increments up to 16kWh, without the inbuilt inverter needing to be upgraded. Sonnen battery systems just became even more affordable in Australia, via solar + storage provider Energy Matters. 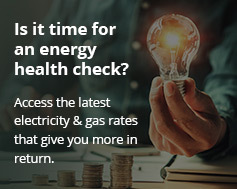 For a limited time, Energy Matters is offering up to $2,500 off solar + sonneBatterie Eco packages with 8kWh of capacity and also on retrofits. In other recent news from sonnen, the company announced last month it had completed a new financing round with a total equity amount of USD $85 million; some of which will be used to help further expansion in the United States, Australia, UK and Italy. Also in October, sonnen was included in MIT Technology Review’s “50 Smartest Companies 2016” list and the company announced its battery systems had been installed at the McKnight Lane Affordable Housing Development in Vermont, USA.